The 18th century Margravial Opera House in Bayreuth is a masterwork of Baroque theatre architecture, commissioned by Margravine Wilhelmine of Brandenburg as a venue for opera seria over which the princely couple ceremonially presided. The bell-shaped auditorium of tiered loges built of wood and lined with decoratively painted canvas was designed by the then leading European theatre architect Giuseppe Galli Bibiena. The sandstone façade designed by court architect Joseph Saint Pierre provides a focal point within the urban public space that was particularly planned for the building. As an independent court opera house rather than part of a palace complex, it marks a key point in opera house design, foreshadowing the large public theatres of the 19th century. Today it survives as the only entirely preserved example of court opera house architecture where Baroque court opera culture and acoustics can be authentically experienced. The attributes carrying Outstanding Universal Value are its location in the original 18th century public urban space; the 18th century Baroque façade; the original 18th century roof structure spanning 25 meters; the internal layout and design of the ceremonial foyer, tiered loge theatre and stage area including all existing original materials and decoration. During my March 2013 tour of German World Heritage Sites, I had two major disappointments, both of which were due to renovations. The first was the Abbey of Lorsch and the second was the Opera House in Bayreuth. What makes the opera house special is its interior…and that was closed in October and won’t be open until May. That means the only thing I was able to see was the exterior. The opera house is going up on my list of sites to revisit and it is probably on the top of that list right now. If you are in Bayreuth, make sure to also visit the palace of Wilhelmine, the patron of the opera house, which is within easy walking distance. You might also be interested in visiting the home of Richard Wagner and his concert hall which he created for his operas. The Margravial Opera House Bayreuth is a cultural UNESCO World Heritage Site in Germany. 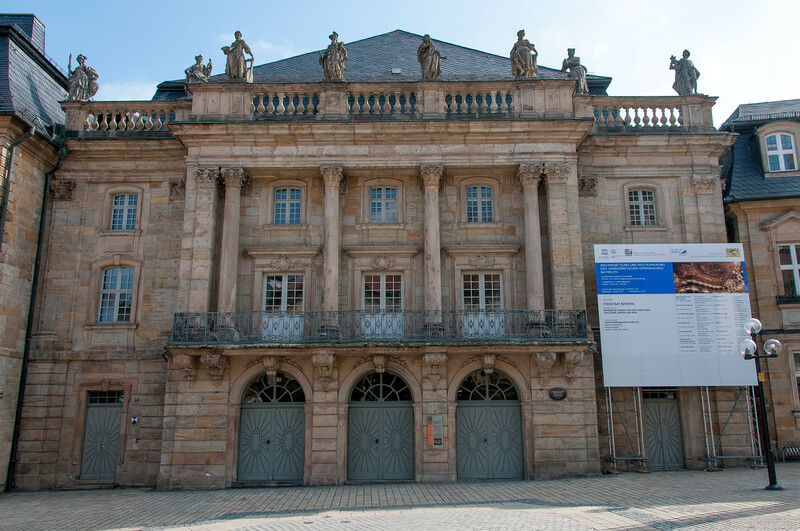 This opera house, which is located in Bayreuth in Germany, was inscribed to the UNESCO list in 2012. It was built in 1744 and was completed in 1748. The architects behind this architectural masterpiece are Joseph Saint-Pierre, Carlo Galli Bibiena, and Giuseppe Galli Bibiena. This opera house is considered culturally significant because it is one of few surviving theaters in Europe from the Baroque period. It has undergone extensive restoration over the years. The Baroque period is often referred to as the theatrical epoch. Hence, it is not uncommon to find architectural buildings in the form of theaters to emerge from this era. The Margravial Opera House Bayreuth is one of them. It is also defined by its lavish expression of artistic details and enormous dimensions. The Margravial Opera House Bayreuth was inaugurated on the wedding of Frederick of Brandenburg-Bayreuth’s daughter to the Duke Charles Eugene of Wuttenberg. The opera house consists of a wooden interior depicting Italian late Baroque style. Meanwhile, the box theater has been preserved in its original state. The curtain that was used in the original theater was taken by the troops of Napoleon as they embark on the 1812 Russian campaign. The theater also features a prince box. However, it was seldom used as many of the art-minded margravial would prefer the front row seat. The Margravial Opera House Bayreuth features a stage depth of 27 meters. It attracted many artists in the region including that of composer Richard Wagner. Hence, he chose Bayreuth as the venue for the festival center in 1872. He also built Festspielhaus on the northern part of the town. The elaborate and ostentatious detail on the interior of Margravial Opera House Bayreuth is consistent with the essence of Baroque ceremonies. To achieve that, they needed an extraordinary and ephemeral architecture for the renowned artists in and out of Bayreuth. Due to the excellent state of preservation for the opera house, it has become a symbol of how ceremonial and courtly opera houses should be. At the same time, it also embodies what this type of architectural structure from the 18th century should be like. Prior to Margravial Opera House Bayreuth being named as a UNESCO site, it has only been named into the list as part of a monument ensemble. 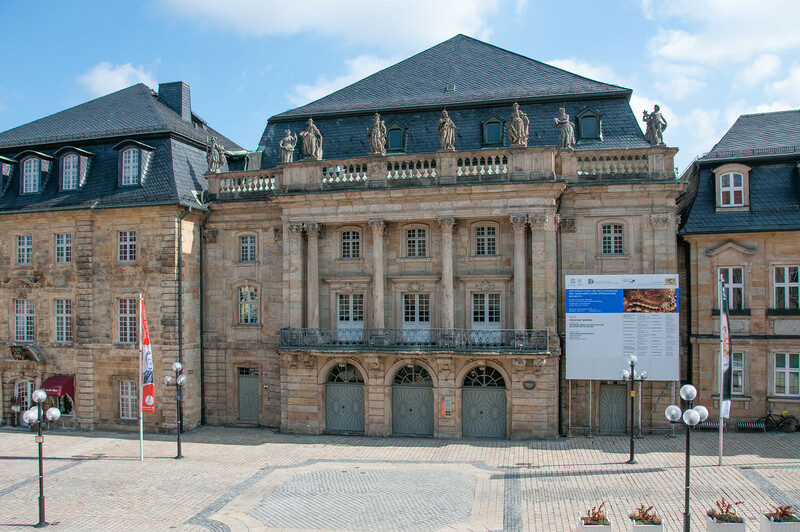 However, due to the importance of this opera house to the ceremonial and music culture of Bayreuth, it earned its spot in the UNESCO World Heritage Sites in Germany. After looking at the pictures on the Margravial Opera House website and some videos of the interior, it is obvious why you were so disappointed it was closed! Modest on the outside and lavish on the inside – it would be interesting to see the extensive use of carved wood.